Throughout this series, I have featured men who have suffered injury which through no fault of their own, has ended a promising career in Association Football prematurely. The final few chapters in this series touches on unexpected illness, and how that does exactly the same to a professional’s hopes and dreams. With the inauguration of the Premier League in late 1992, a steady flow of foreign players have come to our shores to ply their trade to differing levels of success. Bulgarian International Stiliyan Petrov arrived in Britain from CSKA Sofia, and entered league football on our shores in Scotland. Petrov signed for Glasgow Celtic when former Liverpool and England winger John Barnes was manager at Parkhead, and the teenager featured prominently in the side, as the Bhoys won that campaign’s Scottish League Cup. Despite the happy end to the season, Petrov had a very hard time settling with the club and in the Glasgow area. He was homesick and lonely to begin with, and could not speak English. What made matters worse, Barnes playing him out of position at right back. Eventually, Petrov improved his English by working in a friend's burger van! His hard work and determination to fit in showed in his performances on pitch. After a good first season with Celtic, Petrov enjoyed a brilliant second season under new manager Martin O'Neill. The Ulsterman led the Glasgow club to the treble, Petrov himself becoming a regular scorer now playing in his preferred position of central midfield. He also became the first foreign player to win the SPFA Young Player of the Year award. The following seasons brought more success to Parkhead, climaxing in a UEFA Cup Final meeting with Portuguese side Porto. Sadly, the Glasgow club lost, and this would prove to be the only European final appearance of the Bulgarian’s career. More trophies flowed Celtic’s way, but at the start of the 2006-07 season during the summer transfer window, he left Glasgow and moved to Aston Villa to rejoin his former manager Martin O’Neill at the Birmingham based club, becoming O'Neill's first signing for Villa. Petrov once again took his time to settle at a different club, effectively in a different country. This showed in his on field performances, which were patchy at best throughout his first two seasons at Villa Park. However, during Easter 2008, Petrov showed what he was capable of, by scored a wonderfully remarkable goal – a volley from the halfway line against already relegated Derby County. This goal was marked as a possible candidate for "goal of the season". It was also confirmed to be the furthest out recorded goal by an Aston Villa player since the club was formed. At the end of the 2008-09, Petrov was named both Aston Villa's supporters' "Player of the Year" and "Players' Player of the Year", such was his influence and standing at the club, after his notable consistency in midfield throughout the season. However, a hugely promising career, to a very likeable guy was shaken to its core as in March 2012, Petrov was diagnosed with acute leukaemia. The condition was only diagnosed following tests after the Bulgarian developed a fever following Aston Villa's 3–0 defeat to Arsenal. Not just the footballing community, but the entire sporting world, and the international media sent Petrov and his family messages of hope and support. Petrov and his wife are overwhelmed with all the good-tidings being sent their way. Because of this, Petrov told Bulgarian press that he planned to retire from club and international football, although his agent later denied any reports of retirement, merely clarifying matters that Petrov was fighting for his life and needed some time away from the game to recover. Petrov visited Villa Park for the visit of Chelsea that season, the crowd gave him an ovation with applause at the nineteenth minute (Petrov's shirt number was 19) .The tribute caught the imagination of fans, and home and away fans now repeated throughout the season at every Villa game. 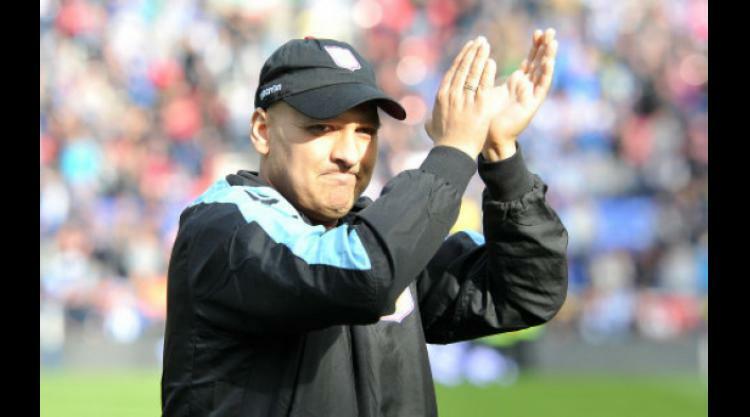 In June 2012, Aston Villa manager Paul Lambert announced the Bulgarian would remain Villa's club captain for the following season, with a ‘deputy’ on pitch during matches. After extensive treatment, which was extremely tiring, awkward and uncomfortable, it was announced in August 2012 Petrov's leukaemia was in remission. Not being able to regain full match fitness in order to play at the highest level as he had previously, Petrov retired from playing at the end of the 2012-13 campaign. Aston Villa announced that Petrov would take on a new role at the club as assistant of the Youth Development squad, working alongside Gordon Cowans.